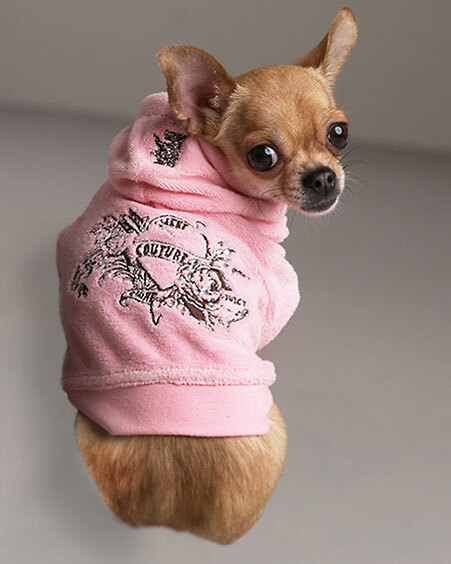 The Terry Dog Hoodie from Juicy Couture is the perfect fashion accessory for small dogs. It is accented with rhinestone and is embroided with the words “‘Sweet Couture” on the back. It comes in pink as well as blue and green. See also the Ralph Lauren Polo shirt for dogs.